Our Proton 3K strobe light is great for indoor or outdoor use and is super bright. It's powerful enough to light up a gym with only 1 and needs to be controlled with a DMX controller. 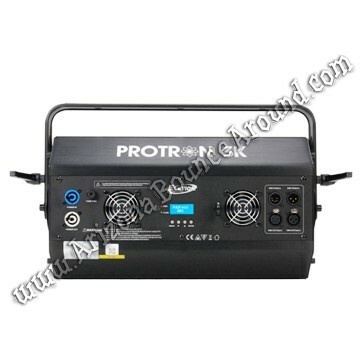 This strobe light is way too much for a small venue but you can control the intensity of the light and the pulse speed. Our strobe light rental price includes a clamp for use with one of our light stands so be sure to check out our full selection of dance and DJ lighting including full DJ service and speaker rentals.